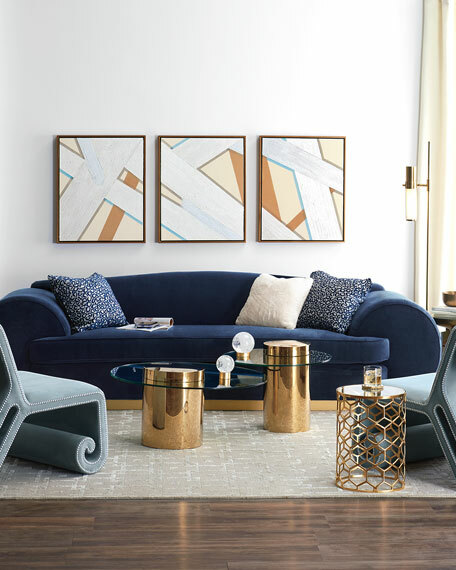 Odette strikes a harmonious balance between glamour and functional design. 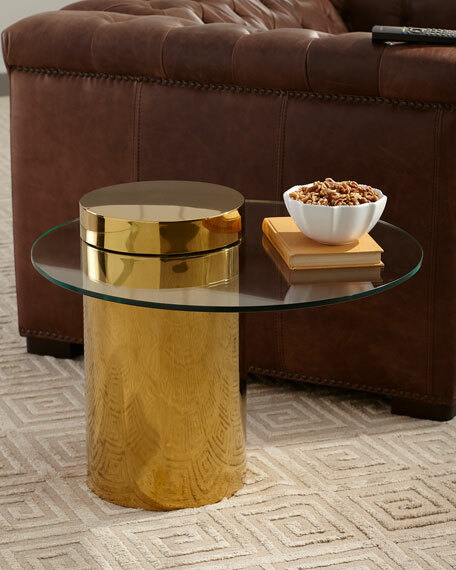 Constructed with gold stainless steel base, with clear glass top to draw the eye without overwhelming the room. Handcrafted side table with glass top. 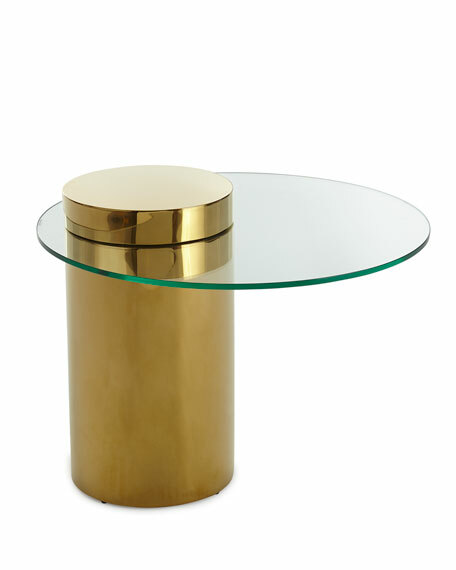 Stainless steel base in polished brass finish.